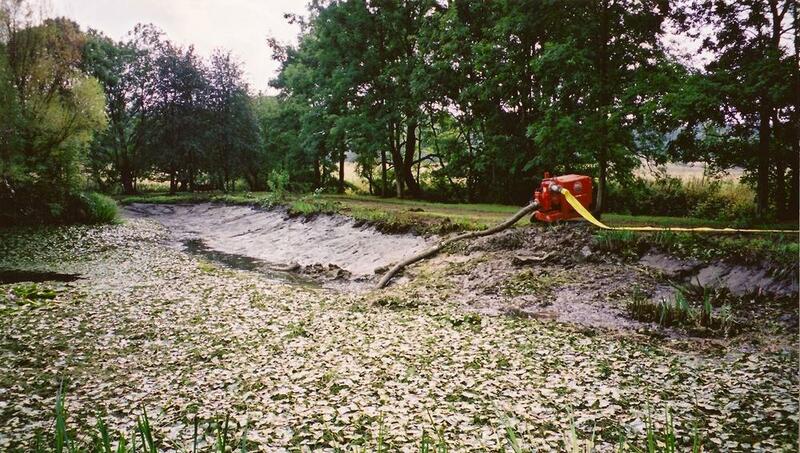 We can restore the condition of older ponds and lakes that have been neglected over the years and suffer from nutrient problems. 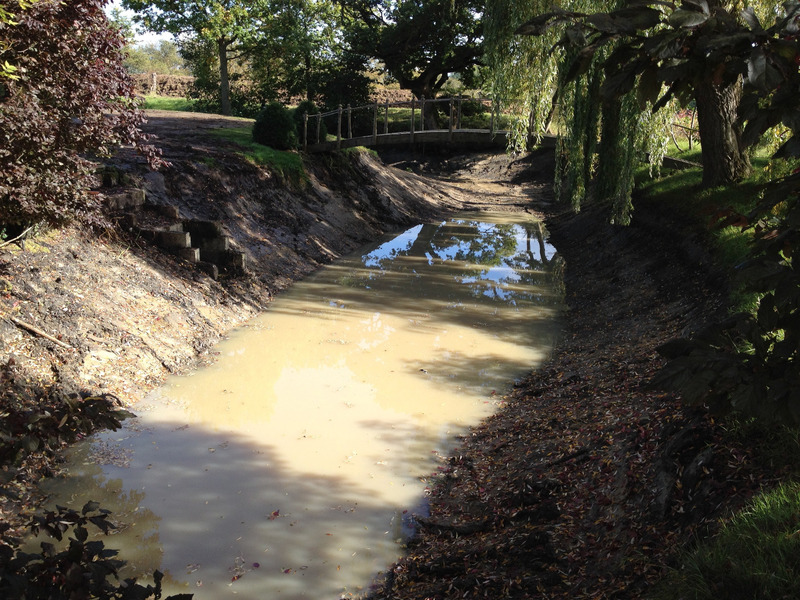 Specialising in de-silting anything from small garden ponds up to large lakes, we avoid environmental disruption where ever possible. De silting rejuvenates the ecological state and provides a welcoming return for wildlife and endangered species of pond life. The photographs show how a pond was completely choked up with silt and reeds with no room for wildlife. Now since its restoration it is brimming with new life and enhancing the natural beauty of the surrounding area. Ducks and swans have returned to nest and swallows and bats gracefully skimming the waters surface once again. The reeds, organic silt and other unwanted vegetation are carefully excavated out and great care is take not to damage any of the clay that may be lining the bottom and surrounds of the pond. Once the silt is removed, it is transported and spread onto a near by field or paddock where it can be recycled back into the ground. 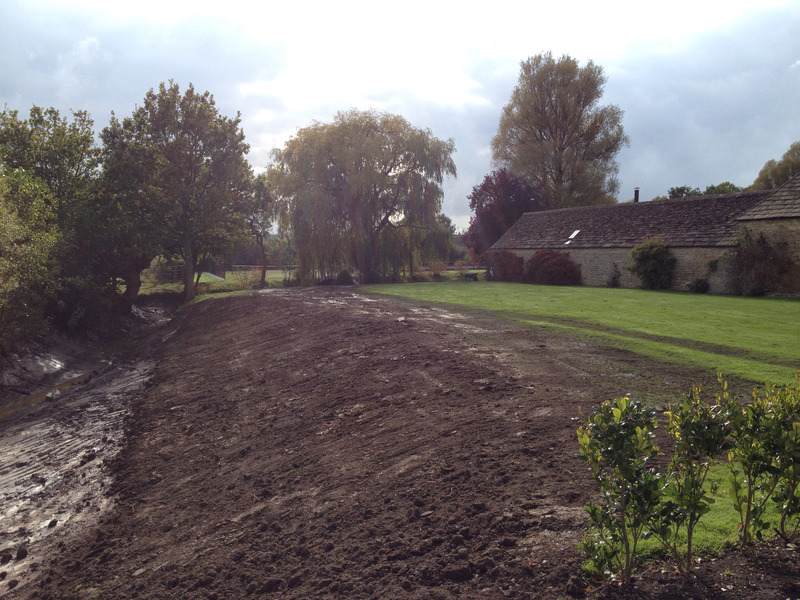 The bank and margins are carefully trimmed and where any planting is to be saved we work carefully around to preserve anything that will help the pond recover as quickly as possible. All work is carried out with minimal fuss and disruption and everything is reinstated when work has been completed. Perry James over the years has been involved with some interesting and challenging projects and is happy to look at your project and come up with some solutions whatever the problem your site may pose. 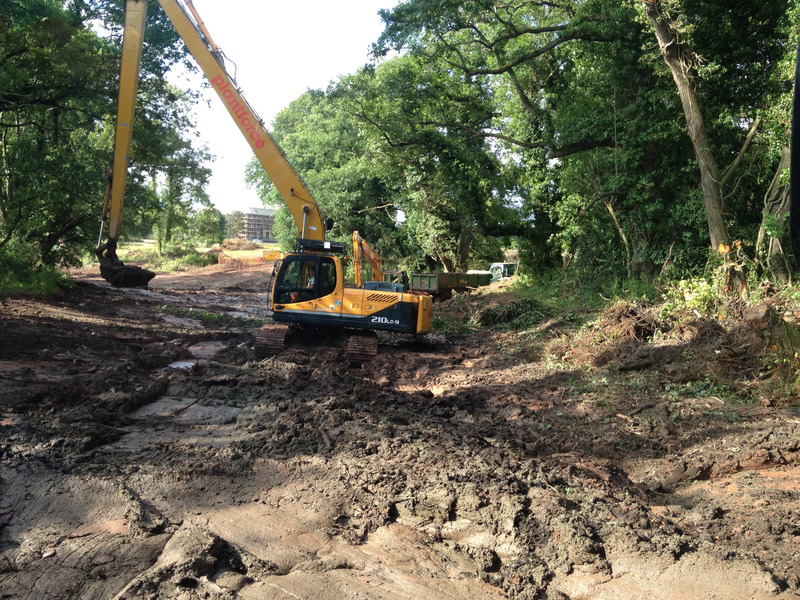 Perry James offers a complete service and can under take a variety of extra works including; Earthmoving, Dam construction and refurbishment, Car parks, Driveways, Gabion walling, Concrete Stable Bases, Stable yards and timber built stables, electrical and water pipe supplies, additional post and rail fencing, roads and tracks, land drainage and storm drain installations, Septic tanks and pumping systems, walling, Manage lighting, Landscaping and waterscapes construction.